HIS Majesty Sultan Haji Hassanal Bolkiah Mu’izzaddin Waddaulah ibni Al-Marhum Sultan Haji Omar ‘Ali Saifuddien Sa’adul Khairi Waddien, Sultan and Yang Di-Pertuan of Brunei Darussalam, and Xi Jinping, President of the People’s Republic of China yesterday held a comprehensive discussion on Brunei-China bilateral relations which include economic ties, connectivity, people-to-people exchanges, education links, and defence cooperation. Both leaders looked forward to further strengthening bilateral cooperation for the mutual benefit of the people of both countries. His Majesty and President Xi also exchanged views on regional developments. During the meeting, President Xi congratulated His Majesty on the occasion of the Golden Jubilee of His Majesty’s Accession to the Throne. 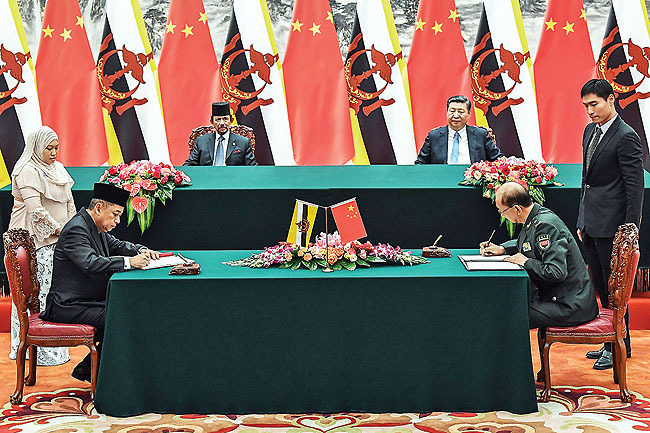 President Xi commended the strengthening ties between Brunei and China in various areas of cooperation. His Majesty also commended China for its contributions in maintaining global peace, prosperity and development. His Majesty also reaffirmed Brunei Darussalam’s commitment in upholding the One-China policy. Prior to the meeting, both leaders joined an official group photo session. Earlier in the afternoon, His Majesty attended the official welcoming ceremony in honour of the State Visit of the monarch to the People’s Republic of China. The ceremony was held at the Eastern Plaza, the Great Hall of the People, Beijing. Accompanying His Majesty the Sultan and Yang Di-Pertuan of Brunei Darussalam was His Royal Highness Prince ‘Abdul Mateen. Upon arrival at the Eastern Plaza, His Majesty was welcomed by President Xi Jinping. The monarch was later introduced to state dignitaries of China, followed by the introduction of Brunei Darussalam’s delegation members to President Xi Jinping. 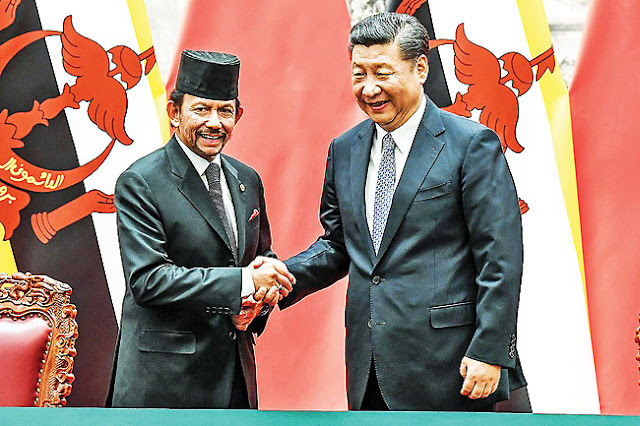 His Majesty then proceeded to the dais to receive the official salute, accompanied with the playing of the national anthems of Brunei Darussalam and China and a 21 gun salute. His Majesty then inspected the guard of honour mounted by the People’s Liberation Army. His Majesty and President Xi then proceeded to the East Hall for a bilateral meeting. After the meeting, His Majesty and President Xi witnessed the signing of cooperation agreements between the countries in a ceremony held at the Great Hall of the People. 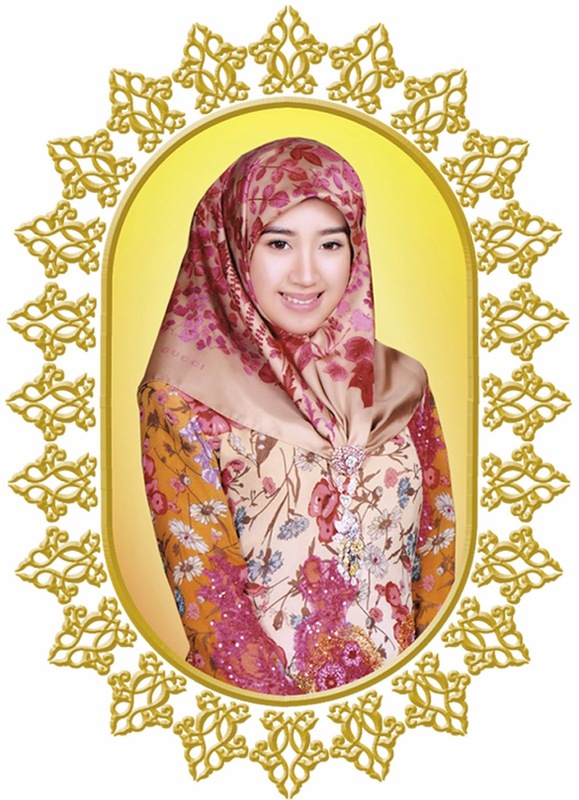 – MoU between Ministry of Defence, Brunei Darussalam and Ministry of National Defence, the People’s Republic of China, on Strengthening Defence Cooperation. Signing the agreements on behalf of the Government of His Majesty was Pehin Datu Singamanteri Colonel (Rtd) Dato Seri Setia (Dr) Awang Haji Mohammad Yasmin bin Haji Umar, Minister of Energy and Industry at the Prime Minister’s Office. Signing the deals on behalf of the Government of the People’s Republic of China were He Lifeng, Chairman of the National Development and Reform Commission; Zhong Shan, Minister of Commerce; Li Bin, Minister of National Health and Family Planning Commission; and Major General Ci Guowei, Deputy Chief, Office for International Military Cooperation, Central Military Commission. After the signing ceremony, His Majesty proceeded to the Golden Hall for a State Banquet in honour of the monarch’s State Visit to China, which was hosted by the President of the People’s Republic of China.